Dependable Fuel Delivery - City Oil Co. Inc.
People who work in the construction business know the importance of keeping their equipment in good condition and fueled at all times. This is especially true in the winter months when there is often rain and snow. Whether your vehicles are on or off-road, the knowledge that you will never run out of fuel is especially important when there are construction deadlines that use this type of fuel for power. Whether it is trucks or other equipment, diesel fuel is the most important in today’s busy world when there are trucks and other equipment that uses it for power. 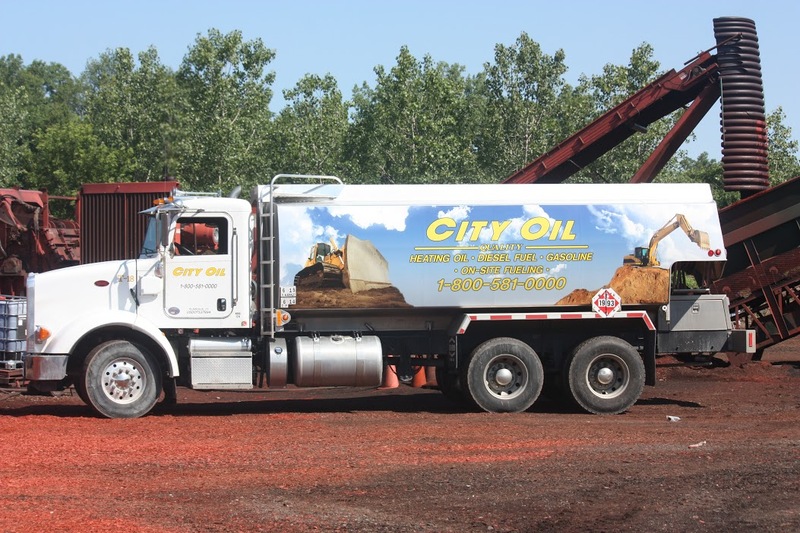 At City Oil Inc., we are well aware of this necessity and our commercial diesel oil provides reliable, routine deliveries as well as unexpected emergency fuel delivery. Whether you have small or large tanks or need direct delivery to vehicles, our equipment is specially designed to take care or every necessity. Our fleet of vehicles is equipped to fill diesel storage tanks which are available for customer’s job sites or yards. We guarantee our fuel is free from contaminants which assures that you will not have the problem that often occurs with impure fuel. Modern regulation, dated January 2010 by the U. S. Environmental Protection Agency, require DEF deliveries. This is an emissions control liquid injected into the Diesel exhaust stream (not the directly into the diesel fuel). Its purpose is to remove harmful emissions from a diesel engine that have been found to be harmful to the health. We also refill DE DEF tanks. In addition to Diesel, we furnish high-quality gasoline products. These include Regular 87 Octane, Midgrade 89 Octane and Premium 93 Octane all of which contain 10% Ethanol. We also deliver heating oil, gasoline and kerosene. Whether you are in heavy construction, have a fleet of vehicles, are in excavation, blasting, drilling or some other type of business we are prepared to bring the fuel to your location on a regular or emergency basis. Using our direct or emergency delivery service saves money by reducing the cost of running out of fuel at an important time when a shutdown can be a disaster. This does not need to happen when you use our emergency service for delivery. We are only a phone call away. This is especially important when you need a constant movement with trucks or pickups. Whether it is diesel or gasoline you will have our constant attention. Our twenty-five years in the business has allowed us to obtain and upkeep the latest in delivery equipment and fuels. Our employees are courteous and always able to assist with any questions you may have regarding our trucks fuel and delivery practices. We are proud of our reputation as a dependable supplier of diesel and other fuel delivery. To learn more about our regular and emergency fuel delivery give us a call at (860) 356-4933.